1. REVITALIZE: Wash the hair with the Multivitamin Shampoo, which provides shine, volume and strength, revitalizing the follicles. 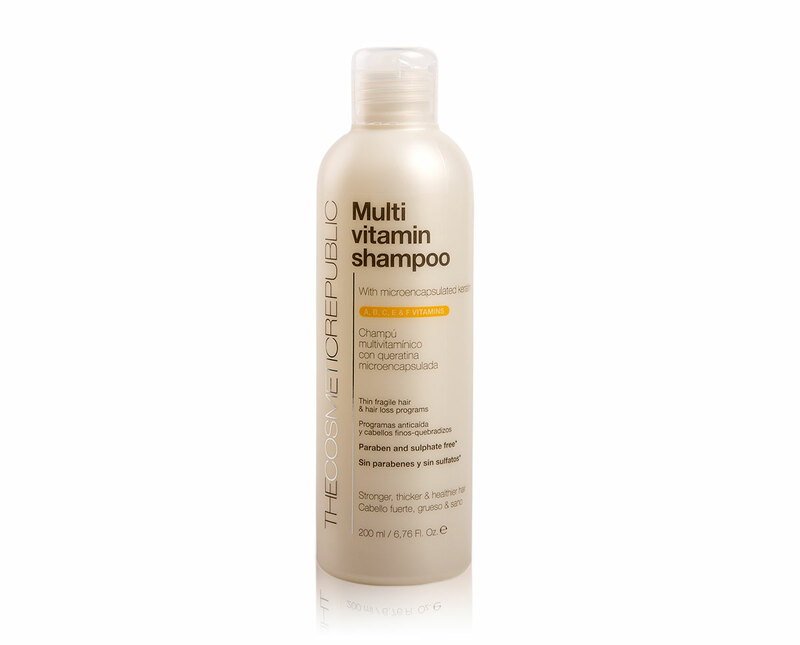 Vitamins A, B, C, E & F and microencapsulated keratin act preventively against hair loss. Daily use. 2. REPAIR: Apply the Scalp Mask, giving gentle massages for 3 minutes. Its repairing action restores the natural balance of the hair and scalp. Weekly use. For oily hair, apply from midway to the ends. 3. NOURISH: Before sleeping, spray the Night Revitalizing Vitamins on the scalp, massaging for greater penetration. These will provide nutrients to the hair to accelerate the functioning of the cells during the night's rest. Daily use. These gentle formulations will leave poor weak hair, stronger, thicker and with a healthier look. Infused with vitamins for all hair types from normal to dry hair. Recommended by doctors all over the world for men & women. Color safe. Night Restructuring Vitamins: Aqua (Water), Alcohol Denat., Polysorbate 20, Parfum(Fragrance), Carbomer, Triethanolamine, Glycerin, Pentylene Glycol, Sodium PCA, Citric Acid, Fructose, Sodium Hydroxide, Urea, Iacinamide, Calcium Pantothenate, Acrylates/C12-22 Alkyl Methacrylate Copolymer, Magnesium PCA, Polyvinyl Alcohol, Sodium Starch Octenylsuccinate, Allantoin, Maltodextrin, Maltose, Sodium Ascorbyl Phosphate, Sodium Chloride, Sodium Lactate, Trehalose, Zinc PCA, Pyridoxine Hcl, Tocopheryl Acetate, Magnesium Nitrate, Phenoxyethanol, Hydrolyzed Keratin, Keratin, Manganese PCA, Methylchloroisothiazolinone, Magnesium chloride, Glucose Sodium Hyaluronate, Methylisothiazolinone, Potassium Sorbate, Ethylhexylglycerin, Acetic Acid, Silica, Hexyl Cinnamal, Benzyl Salicylate, Linalool, Limonene, Isoeugenol, Citral, Hydroxycitronellal. Apply the Multivitamin Shampoo on wet hair. Gently massage in circular motions to release vitamins and keratin microspheres to improve their effectiveness. Rinse. 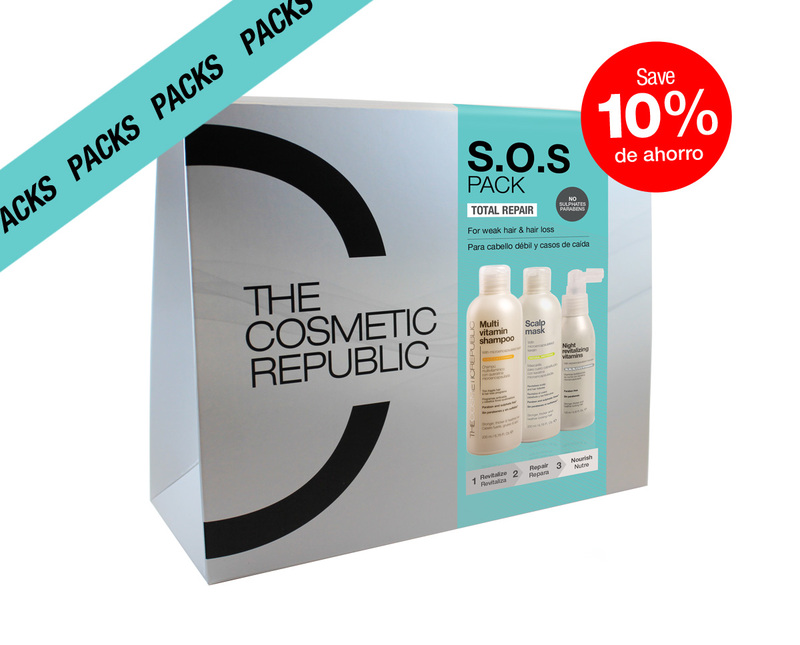 Apply the Scalp Repairing Mask after the Multivitamin Shampoo. Gently massage in circular motion all over the scalp and hair. Leave for 3 minutes and rinse. Use 1 to 2 times a week. 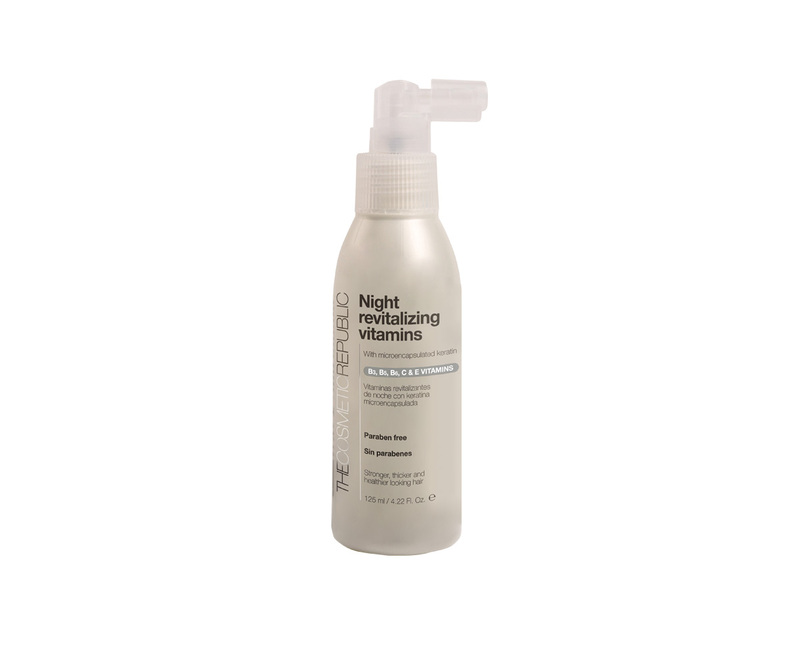 Spray the Night Restructuring Vitamins on dry scalp directly on the roots. Massage gently in circular motion. Do not rinse. For best results use it every night before sleep.